AspireMedia360 photography provides its clients the ability to "visually connect" with potential customers/clients who want to know more about their businesses. “showcasing” all that you have to offer. "First impressions" are so very important and that being said, "professional photography" has proven itself in the real estate market. AspireMedia360 uses the latest in technology to help you "market with vision!" 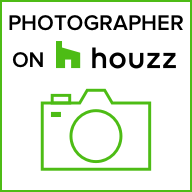 Our goal is to provide you with professional imagery and a "full motion" virtual tour that will allow you to "showcase" your real estate properties using the fastest growing marketing tool in the business, the internet. Your custom virtual tour will provide you with a "multi-purpose" marketing tool to reach potential clients via the internet, your website, social media, email and for use in combination with print media marketing using a QR Code. As a business owner you understand the importance of connecting with your potential guests and customers. Imagine having the ability to extend a "virtual" invitation to visit anytime and anywhere that they can connect to the internet. Now you can! With AspireMedia360 you can now keep your doors open to these potential customers 24/7. The creation of a "full motion" virtual tour using professional hdr photography will provide you with the most powerful "multi-purpose marketing tool" on the market! It will keep you on the cutting edge of your market by connecting you with potential customers through your website, social media, internet venues, email and your print media marketing using a QR Code.